There are internet censorship around the world. 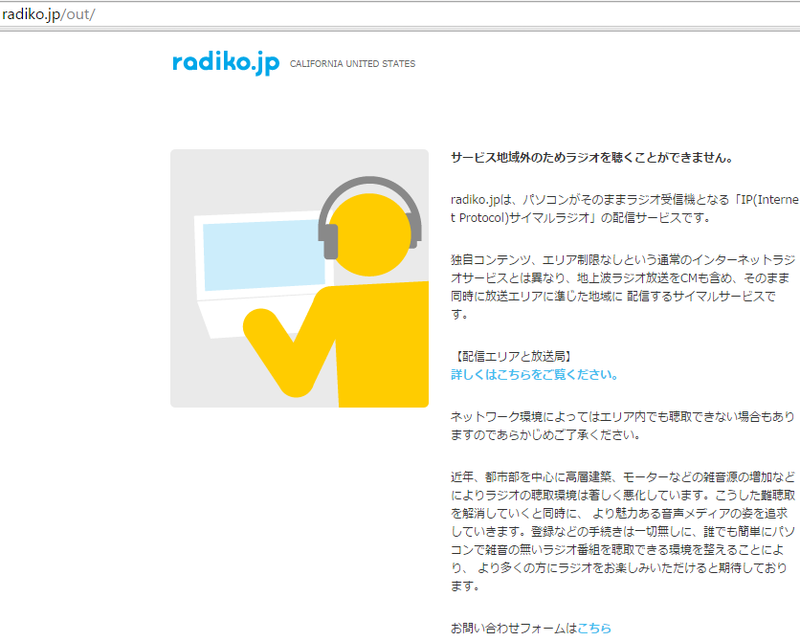 Many websites in Japan is inaccessible for guys who are living outside of Japan. 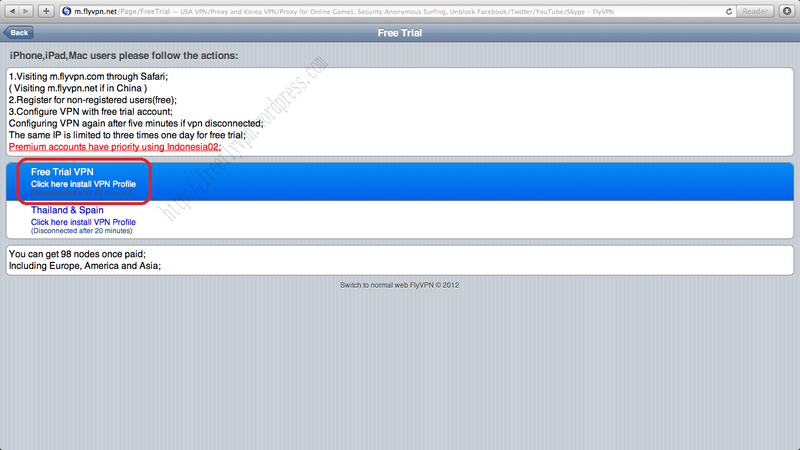 So if you wanna access those websites, you have to get Japanese IP address to bypass the IP limitation. 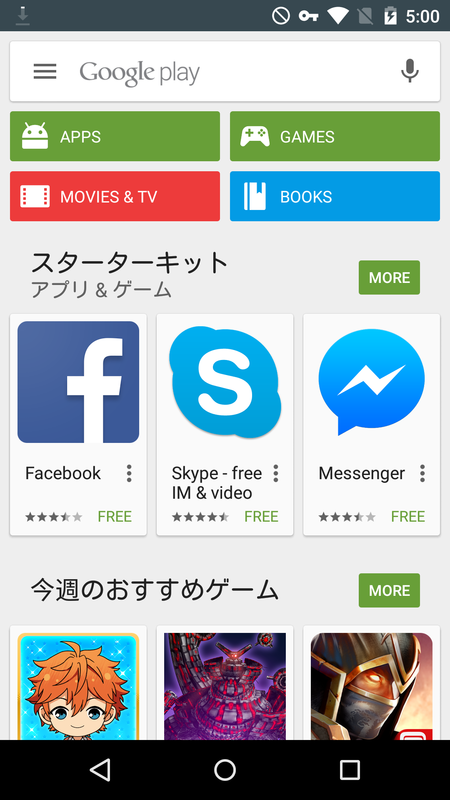 Many players love to play Japanese games, but most of Japanese games don’t allow other countries’ IP to access. 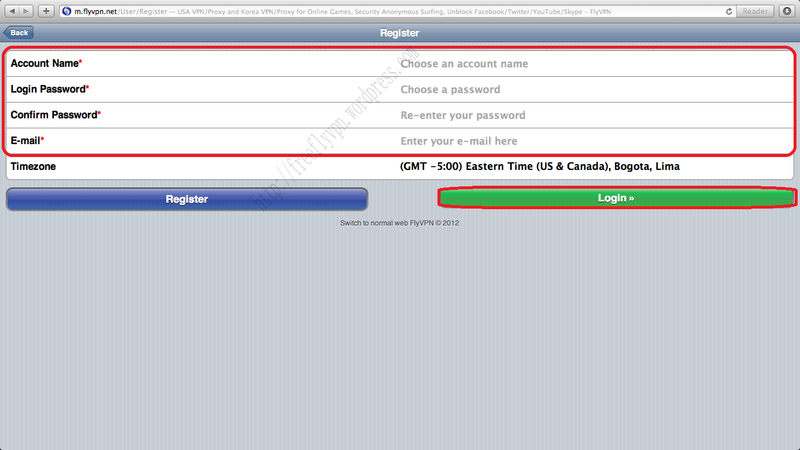 So many gamers will select to use tool to change IP address into Japan. The tool is VPN/Proxy. What we need to prepare is Japan VPN to visit websites in Japan. 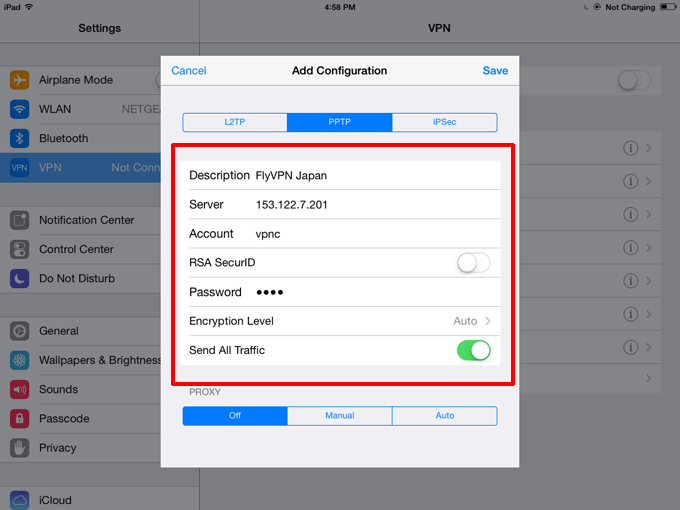 Many newbie do not know how to setup Japan VPN on iOS. 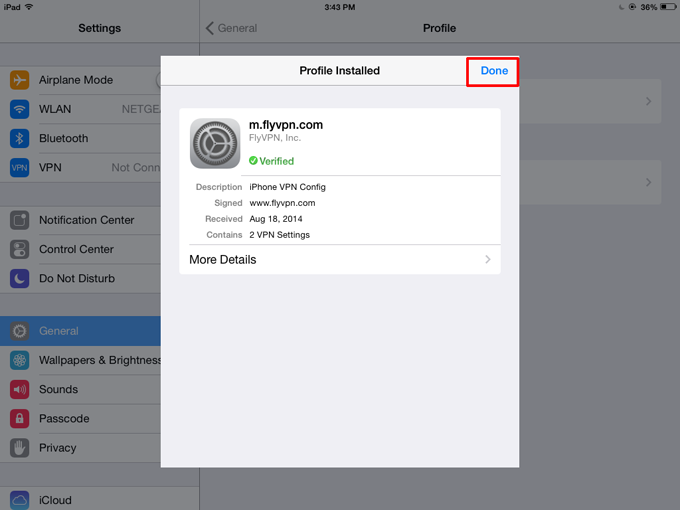 So I will guide people to configure Japan VPN on iOS. There are many VPN providers. It is impossible for me to introduce specific tutorial for different providers. So I will introduce the one I think it is very good and easy to use. If you are looking for Japan VPN trial on iOS. Read paragraphs below. 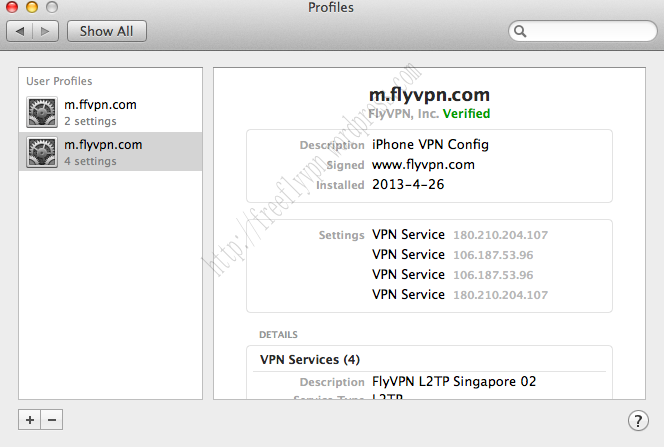 A: Open browser, access m.flyvpn.com or m.flyvpn.net. 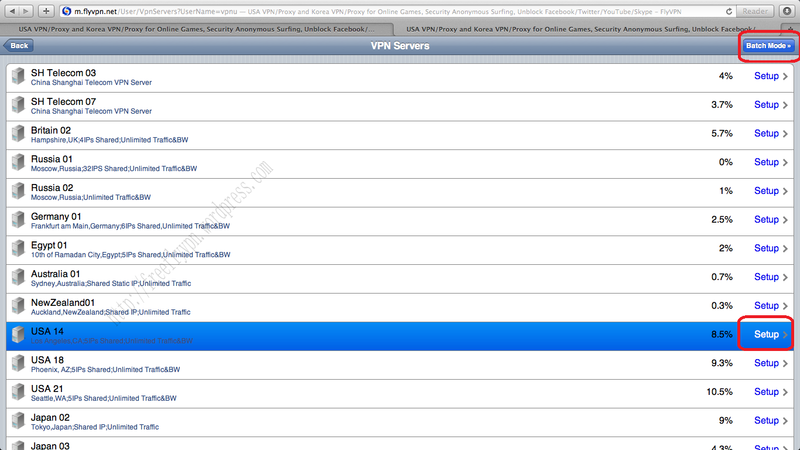 C: Click ‘VPN Server’ to check VPN server in trial accounts. D: Click ‘Setup’ of the server you want to use. There are two trial accounts. One is vpnu, another is vpnc. 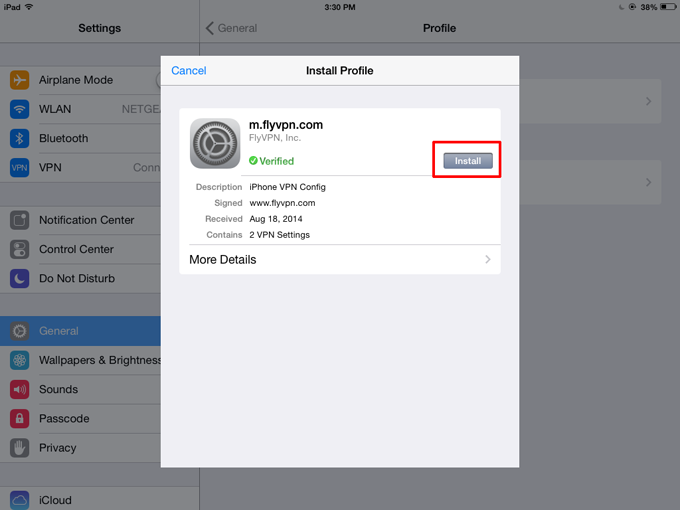 E: Click ‘Install Now’ to install m.flyvpn.com descriptoion profile. F: Go to Settings – General – VPN. You will see two VPN connections you just configured. One is PPTP, another is L2TP. Drag VPN status to be ON. 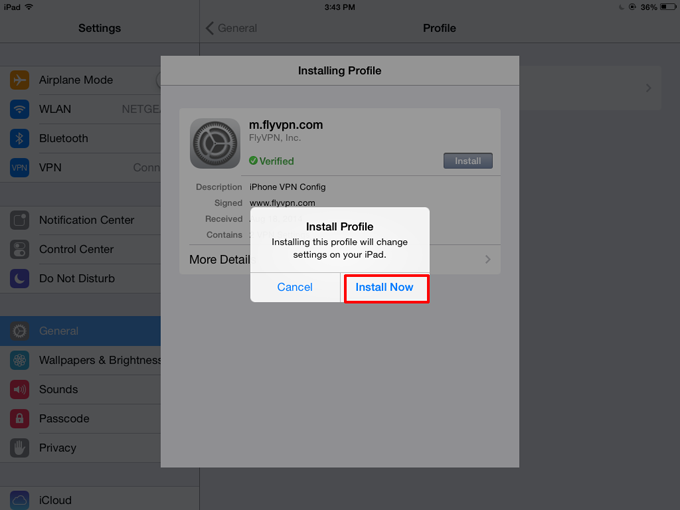 *Users have to re-install the profile if it had been 30 minutes since installing. *If PPTP connection doesn’t work. Try to use L2TP. 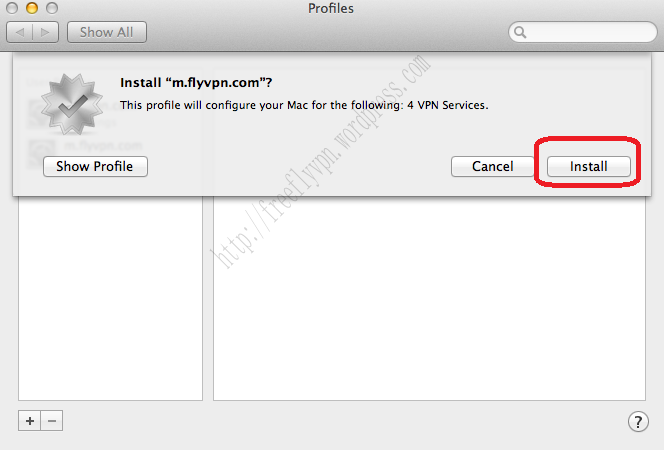 A: Go to Settings – General – Add VPN Configuration…. B: Select PPTP or L2TP. 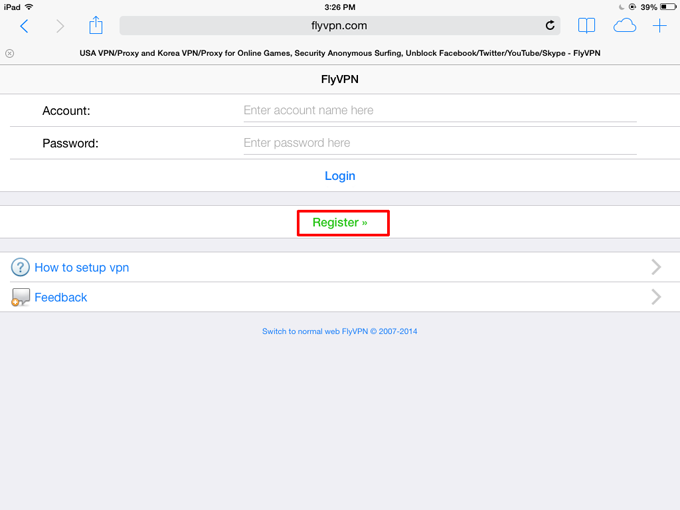 Password: Get latest password from http://www.flyvpn.com/freetrial. 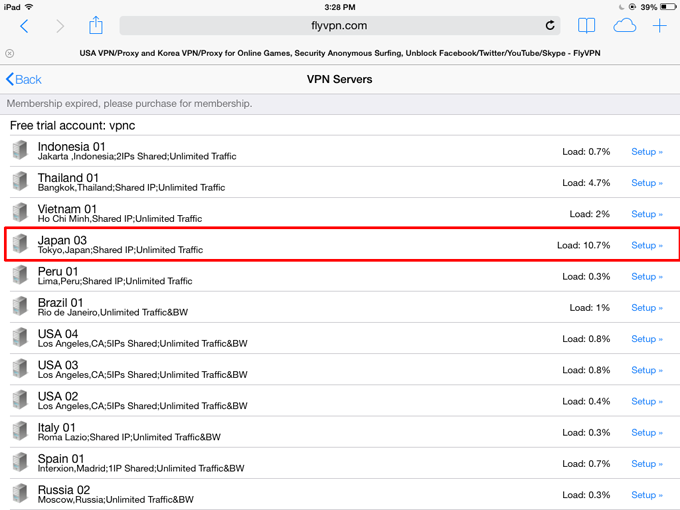 L2TP IPSec shared key: vpnserver. * Change VPN protocol between PPTP and L2TP if you can’t connect to it successfully. 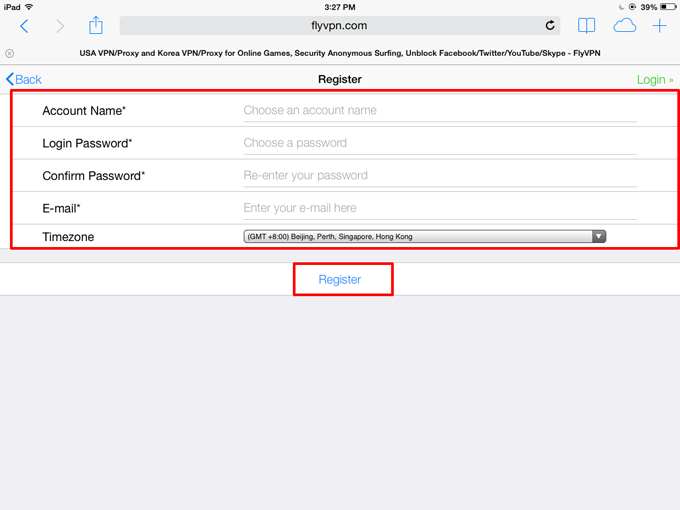 This is a good way to get Japan VPN trial on iOS. 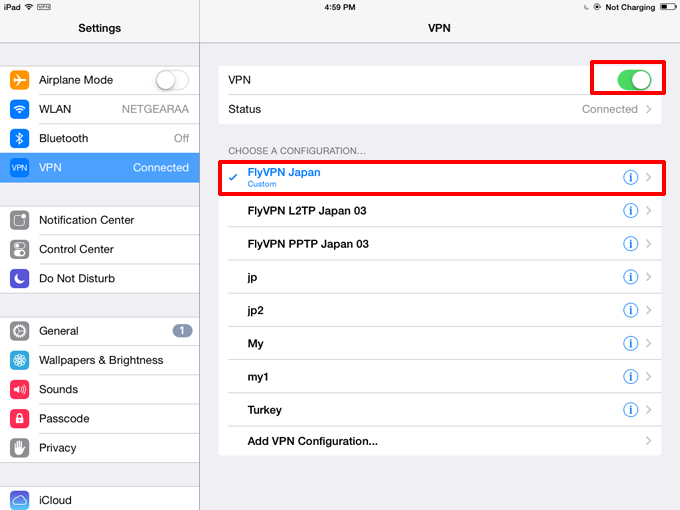 FlyVPN has 9 Japan VPN servers. So if you want to use Japan VPN without disconnect. I think it is a good choice. BTW it is providing perfect money back guarantee. Users can request refund within 30 days if unsatisfied with its service. Buy Japan VPN to unblock Japanese websites now. 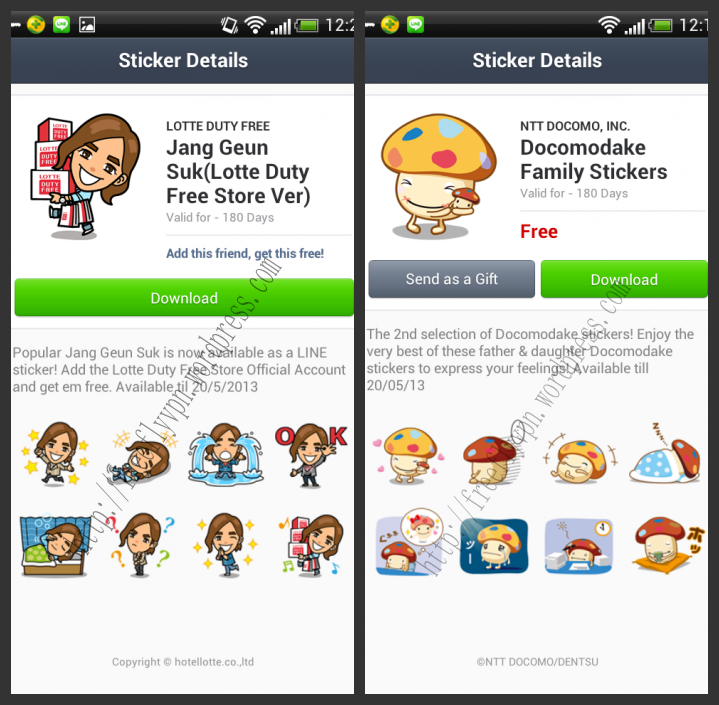 There are two new stickers in Japan.It is “Docomodake Family Stickers(ドコモダケファミリースタンプ)” and “Jang Geun Suk(Lotte Duty Free Store Ver)(チャン?グンソク（ロッテ免税店モデ)”.This article is to guide guys who are living outside of Japan to get free line stickers from Japan. I often use Flyvpn to get stickers from other countries.Sometimes guys can’t connect the free trial vpn account smoothly.So i suggest guys to avoid the peak time to connect the trial vpn account.The peak time is from 10:00am to 6:00pm(UTC+8).Hope all the guys who have get new stickers can log out Flyvpn quickly that other guys can use it. Free Trial Japan VPN Server:27.100.11.157 . 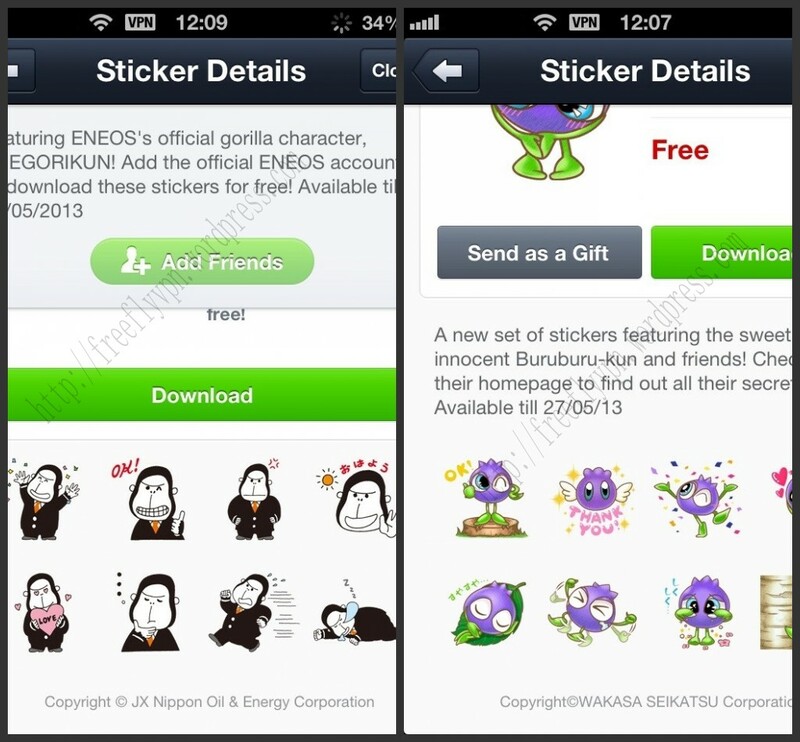 Tutorial-How To Get Stickers From Japan With Free Trial Japan VPN. 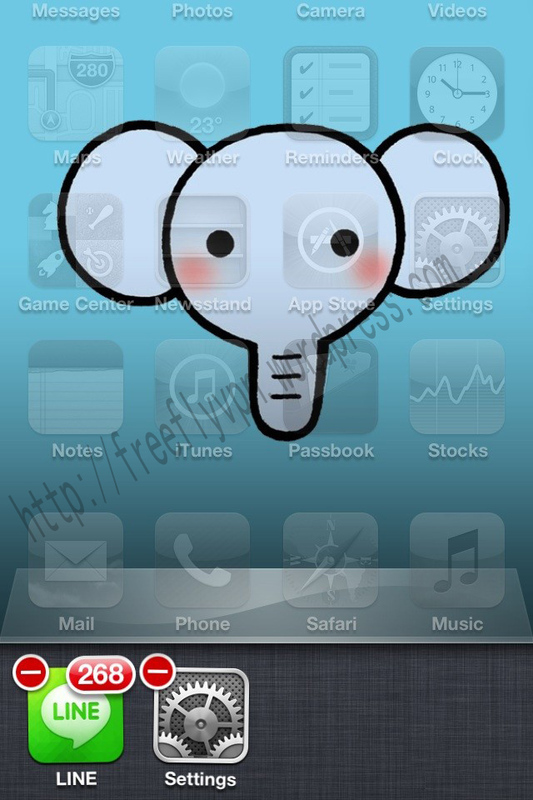 (1)Add VPN Network On Android, iPhone,Mac . Please refer below tutorials. 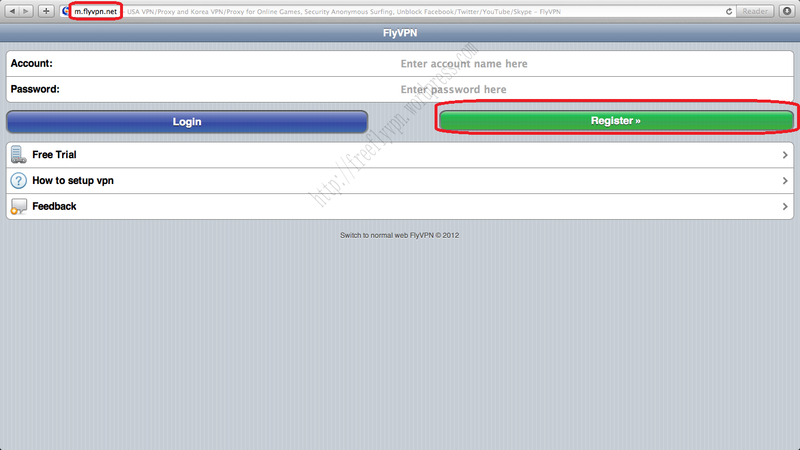 (2)Free Trial VPN Username: vpnc and vpnu .Get password from Flyvpn free trial page. 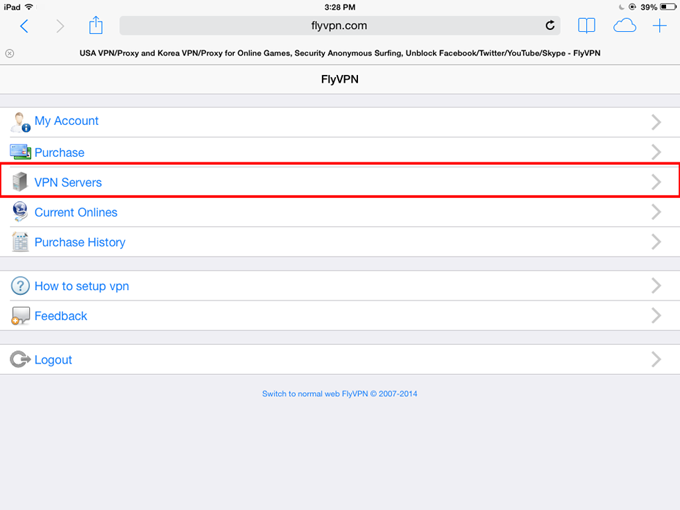 2: If you can’t connect Flyvpn successfully.Please access Flyvpn Facebook page to ask the reasons. Anyone want to reproduce this article.Please note the address: https://freeflyvpn.wordpress.com/2013/04/23/download-stickers-free-trial-japan-vpn/ .